It has been one heck of a ride this past year, let me tell you. It sure hasn´t been an easy year. In March of 2018 I completely crashed into the wall and all my energy and joy for life was completely gone. I could not get up from bed, I could not make it to work and my pain was getting worse and worse. One day I was at the point of a complete melt-down. Years of lack of sleep, 12-hour workdays at a new job in a new environment (where I had to figure out pretty much everything on my own), two small kids, pain and problems with my body which left me completely drained. On top of this I was dealing with depression and a heavy backpack from childhood. Long story short, I went on sick-leave and my body struggled to get back on track. Years of not listening to its needs, years of not sleeping, years of breast feeding and bad posture, a very tough pregnancy with my youngest, the heavy workload and constantly being available to clients because I had to use my own phone (which I couldn´t turn off due to daycare having to be able to contact me), etc etc. There were many reasons I couldn't cope anymore, my body had enough. Being someone who loves working out I was very sad when I realized I couldn´t work out anymore. My body was hurting so much from the simplest workouts, I felt nauseous, I felt sick, I couldn´t function. My doctor and physiotherapist told me I wasn´t allowed to work out at all for a minimum of a month. The only thing I was allowed to do was take walks. My body was too stressed and I had all the signs of a burnout. A real burnout. Not the kind where you "feel a little burnt out" for a few days. I had the kinds where it was completely impossible to do anything anymore and all my energy was completely drained. I couldn´t deal with my kids, myself, household chores, etc. My husband stepped in and helped, bless him! In Sweden there are certain places which help you deal with a burnout. A certain place which is called stress rehab where doctors, physiotherapists and psychologist work together in a pre-design program to help you get back on track. The rehab programme runs for 4 months and deals with physiotherapy, mediyoga, mindfulness, etc. This was so important to me and I spent many hours each week in rehab. This is also where my mind started to shift, or rather after the rehab was finished. I was given the tools and the time to deal with myself. I noticed how feelings started creeping up to the surface, how I started being more aware of what I was missing, of what my real values were and who I actually wanted to be. I realized how my highly sensitive personality could not at all handle what I had been handling. Having small kids alone was a struggle for me. The closer to the end of the rehab I got, the more I realized I wasn´t the person I wanted to be. The more mindfulness and self-care I practiced, the more I realized I was in digre need of it! My body was screaming for love, peace, calm, mindfulness. My body was ready to be transformed and it was ready to be loved, cherished and seen for what it is. I started seeing how beautiful life is in even the smallest details and I began appreciating what I had around me and realize what was actually important. Feelings were suddenly ok to feel, both the dark and the light, because they helped me cope with everything that was happening to me. Somewhere along the way I started a YouTube-channel to share my experience with mindfulness and self-care with the world. 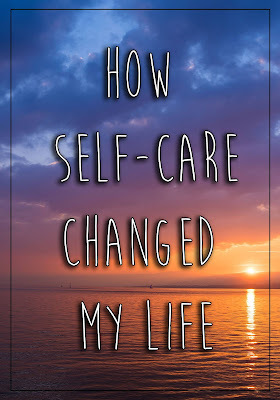 I'd been working as a personal trainer and again and again realized what people were missing the most was self-care. People wanted to change their bodies where they were more in need of changing the way they saw themselves. Because all my clients had something in common, they were amazing, beautiful people, just the way they were. No need to change. These thoughts started coming back to me and I realized I wanted to get the message of self-love and mindfulness out there to even more people. It slowly started becoming my passion. And here I am, a burnout later and trying to figure out who I am and how to work with what I feel so passionate about. So I started a channel and a blog meanwhile, to be able to share my message and understand myself better in the process. I strongly believe this will somehow help me find the way. I will work with what I love somehow, someday. Right now, I'll just share my passion with those who want to listen.